Decoration is chosen not only on the basis of size and purpose of the premises. As a rule, more important factors are taken into consideration: family’s preference, favorite colours and locations, and even the living traditions. To decorate the living room, the French Provence has been chosen, which combines lightness and elegance, style and subtle comfort. But the Interior has gained the details being not quite typical for this style, and having added to it exclusive perfection. Often, when talking about this style, such epithets are used: sunny, bleached, light, cozy. And it is so. Sunny Provence gave the world light, on the one hand, very homely and familial, on the other hand, exquisitely status decorating of the premises. That is why this style has been chosen for the room where the whole family is gathering, guests are accepted. It is supposed to become a cozy place not only for eating, but also for communication. Every detail, Interior item is in its proper place, but there is no cold severity of minimalism and unnecessary fireworks of Baroque decorative elements, which in this case could overwhelm the Interior. Concise layout of parquet does not weigh down the Interior or detract from decorative elements: exclusive plates, dinnerware, vases, clocks, porcelain table lamps, glass table decorations, so unusual in its beauty and naturalness. In this case, large parquet staves wonderfully complement flowing lines of the stucco moldings. Light weight furniture: chairs with transparent backs and net-shaped rattan seats, omnium with glass doors. The designers have decided to abandon large amounts of banal white colour in decorating. And it's not so much functionality. The dark table, omnium, bureau have dashed strict lines of stucco moldings, have made the Interior more comfortable, it does not “burn” eyes with bright vivid whiteness. There were chosen stucco decorative elements without multiple cuts. 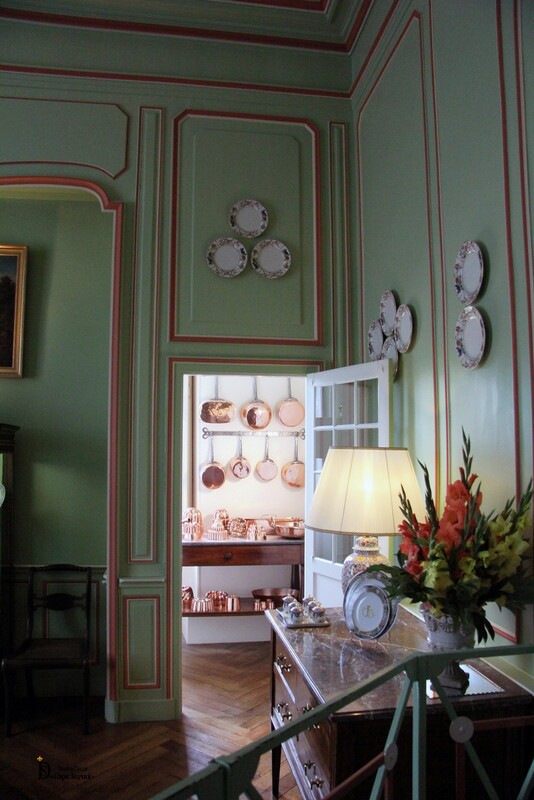 Concise stucco moldings became more likely setting for porcelain, painting and omnium, than a character element of decoration. 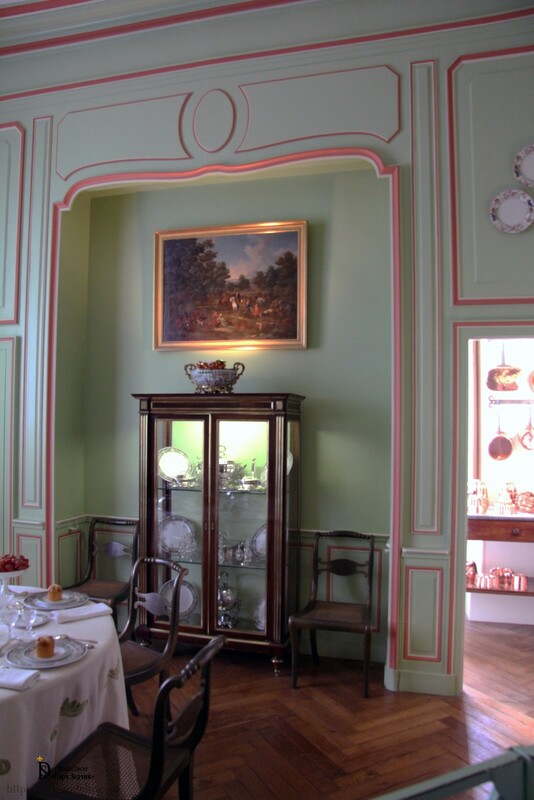 Due to the dyeing of stucco moldings in red colour, unusual for this style, the Interior has gained its individuality. The designers have not blindly reproduced all the elements of the chosen style, but have introduced own individuality. And fine developing of details has made them an elegant complement to the premises in general. 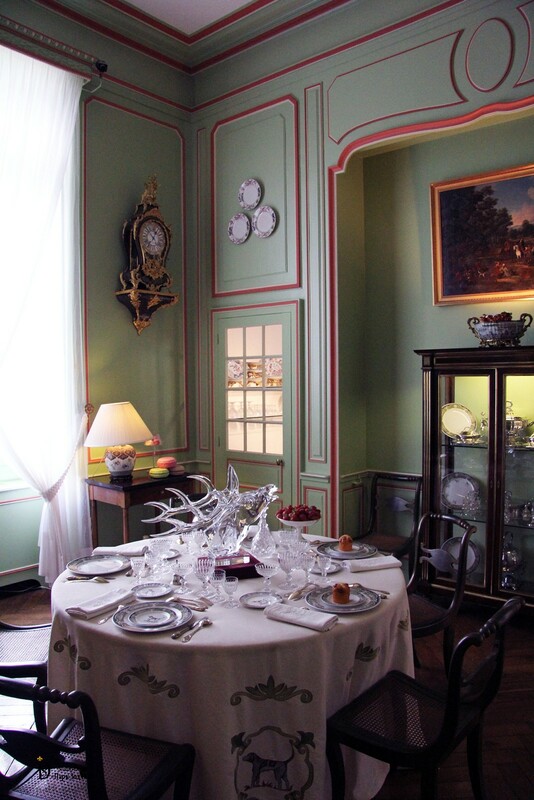 It may be said, the French Interior has taken a new tone. Different-leveled walls are divided into proportional fields with thin plaster rods. They have become remarkable ”frames” for decorative plates, painting, clocks. They balance the ceiling height and make the room more harmonious.